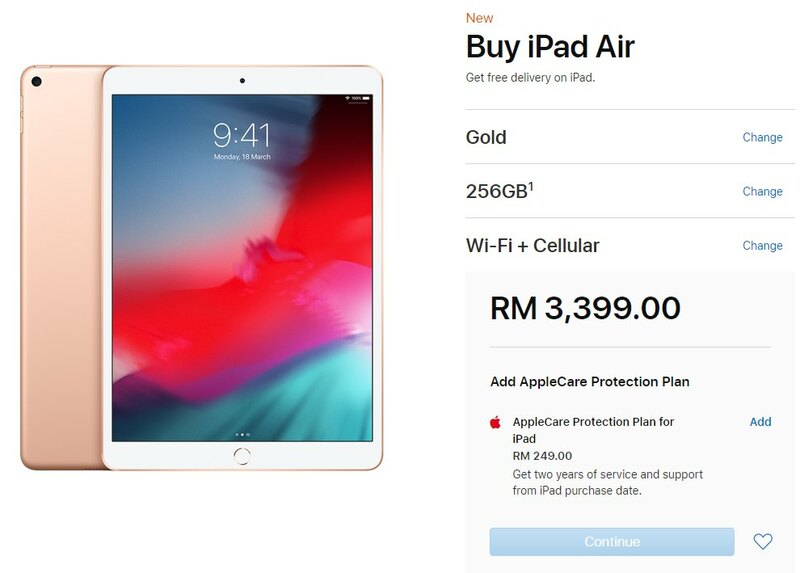 Apart from the new iPad Air, Apple has also revived its compact iPad mini for 2019. 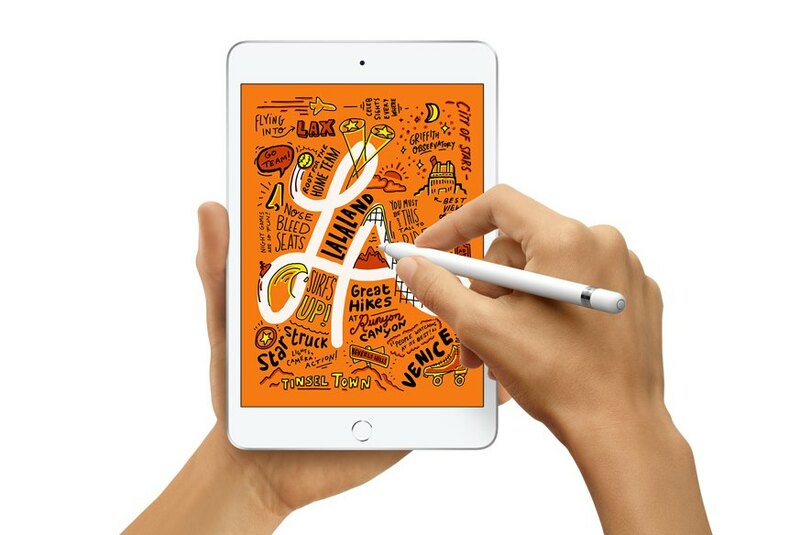 It retains the same 7.9″ screen size and it has similar hardware as the new iPad Air 2019. 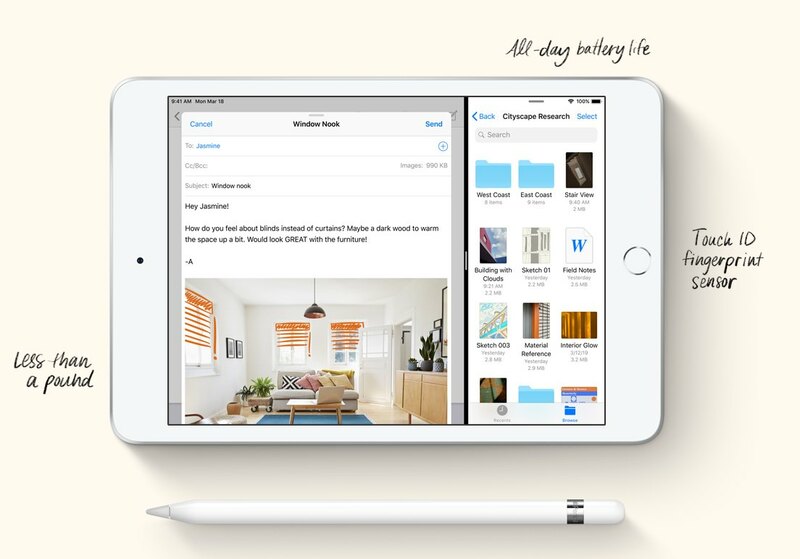 The front is still having the iconic iPad look that comes with a home button with Touch ID. The new display has a brightness of 500 nits and it also supports True Tone for a more comfortable viewing experience under different light source. Under the hood, it runs on the same A12 Bionic chip as the latest iPhone XS family and it also supports the 1st gen Apple Pencil as standard. Unlike the new iPad Air, it doesn’t support a Smart Keyboard but you can always pair a Bluetooth keyboard with it. Similar to the new iPad Air, it gets an 8MP f/2.4 main camera that shoots 1080p videos and it comes with a 7MP selfie camera that supports FaceTime in HD. It also gets a two-speaker setup and it charges via a lightning port. 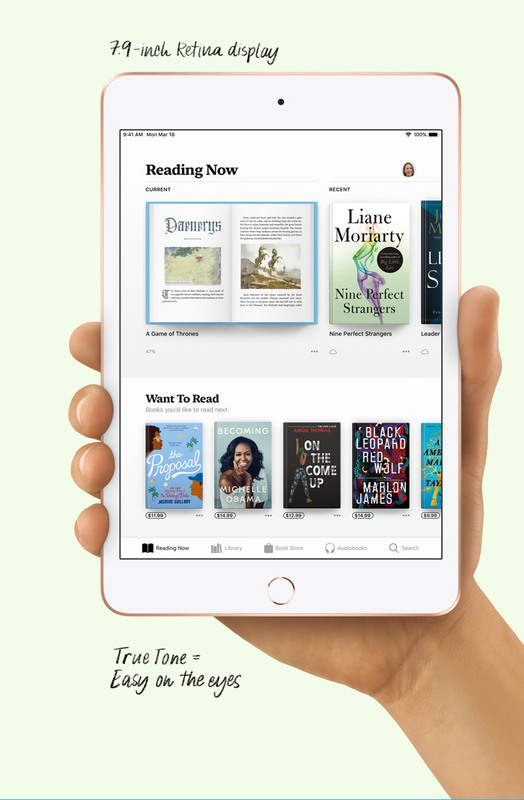 The iPad mini is also 6.1mm thin like the new iPad Air and a full charge is rated to provide up to 10 hours of battery life. The compact tablet is available in three colours (Gold, Silver, Space Grey) and you can get it in either 64GB or 256GB of storage. The cellular version comes with a nano-SIM slot and it supports eSIM connectivity.